Welcome to another week of Travel Photo Thursday. A holiday here today, so I am using the time for final exam prep, and packing for home. D-Day is June 21st, and I am more than a little excited. Today, I want to take you on a little tour of some of my more colorful experiences here in Korea. 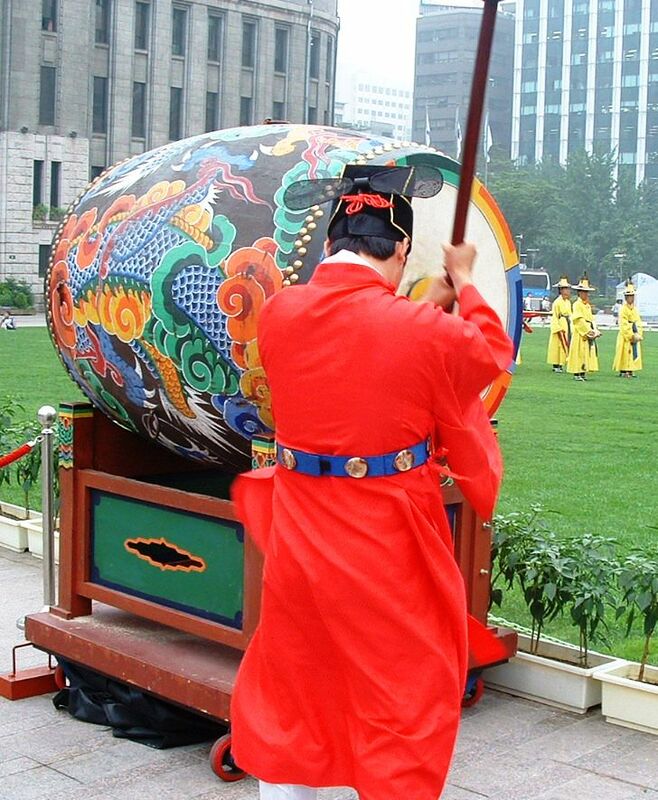 Everyday in the heart of Seoul’s downtown you can experience a re-enactment of the “Changing of the Guard”. 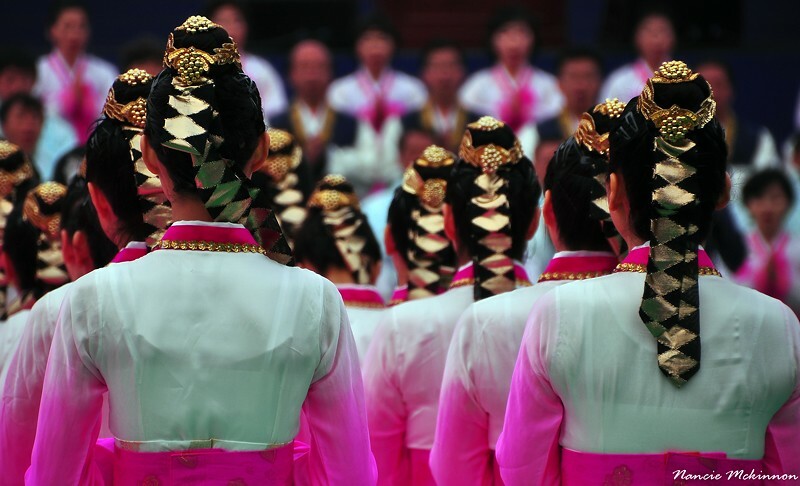 Lots of rich color, and a perfect introduction to Korean traditional “court” attire. 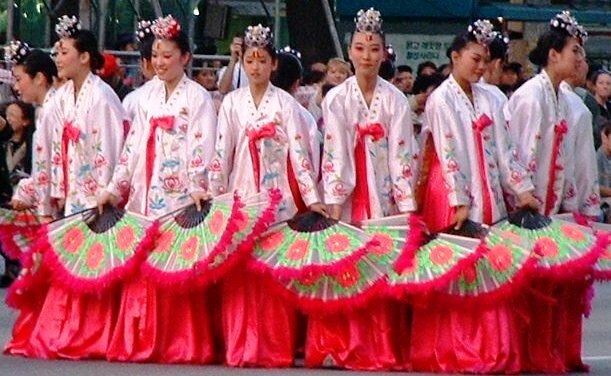 Traditional Russian dancers at the World Dance Festival in Choenan, Korea. The costumes and the energy of this dance troupe had the crowd cheering for more! 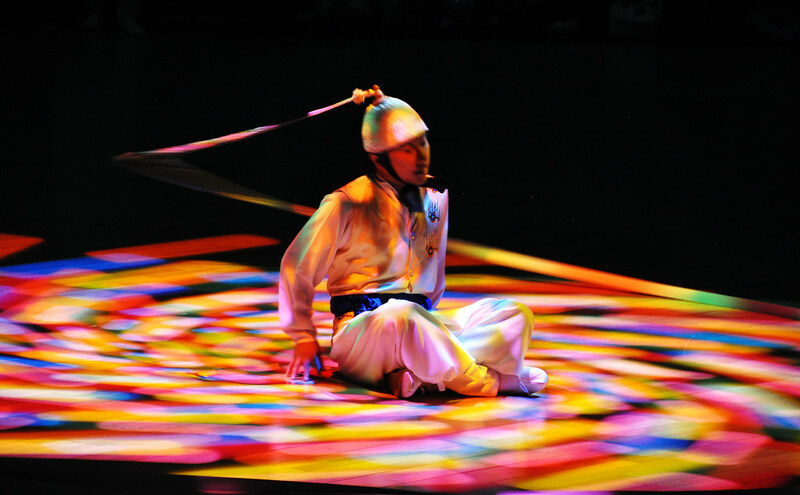 You can experience the colorful changing of the guard daily, in downtown Seoul. 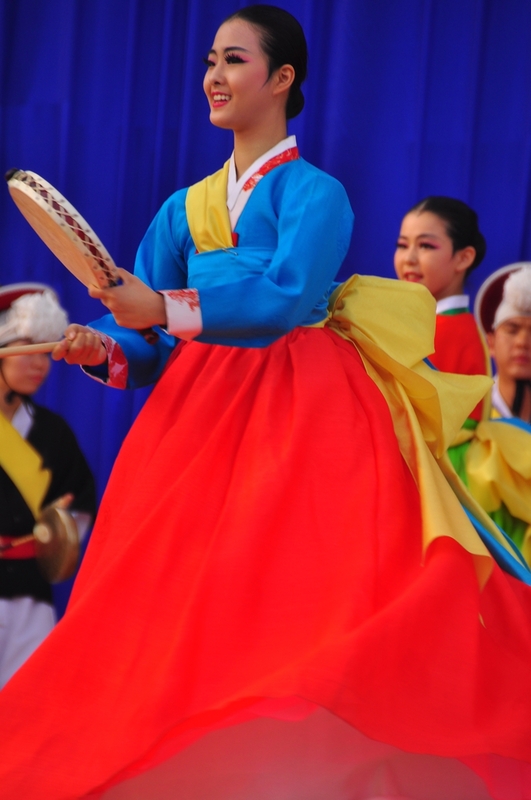 You can see traditional costumes and dance at any of the festivals happening around the country. You might even have the opportunity have your photo taken in one! 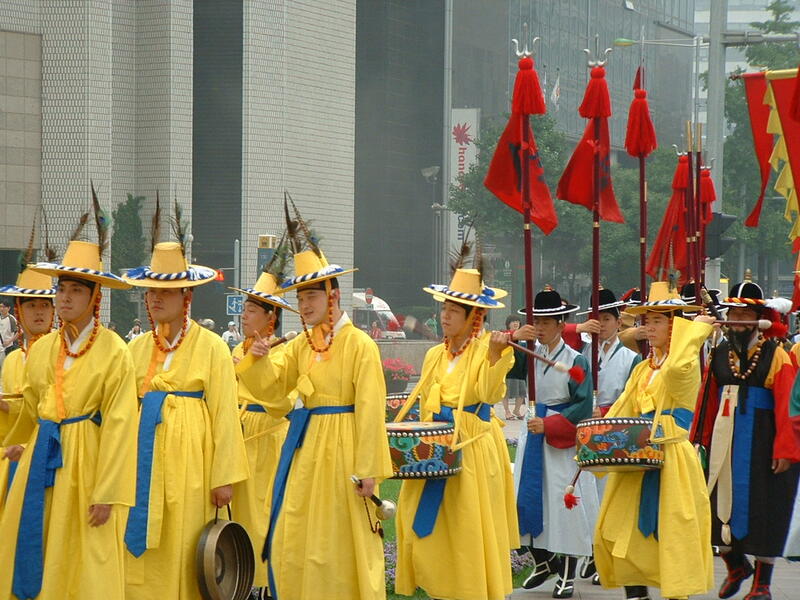 Check out the schedule of Korean festivals. Find out more about Buddha’s annual birthday celebrations. I love the Korean costumes, but the last picture is my favourite. Thanks, Denise. That photo has been viewed a lot on Flickr over the years. 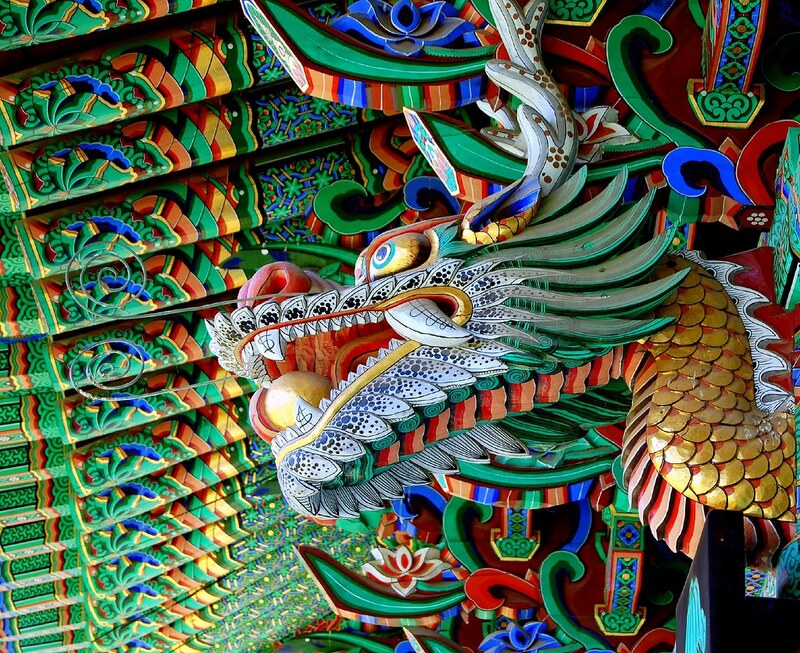 I love all the colors of Korea you portrayed here, Nancie! The Changing of the Guard is certainly different from what I’ve seen. My favorites have to be those dragons though. Hi Mary, yes that photo is a favorite with many. I love the colors in it. The Changing of the Guard is worth seeing, just for the costumes alone. I would have enjoyed seeing what that light and dance show entailed since the picture looks like it captured a very interesting moment. Michele, I was a beautiful dance. The dancer really knew how to do the “head twirl”, and the lighting added a lot to it. I love the colour and sound and movement of traditional dance – and these photos all certainly convey that. 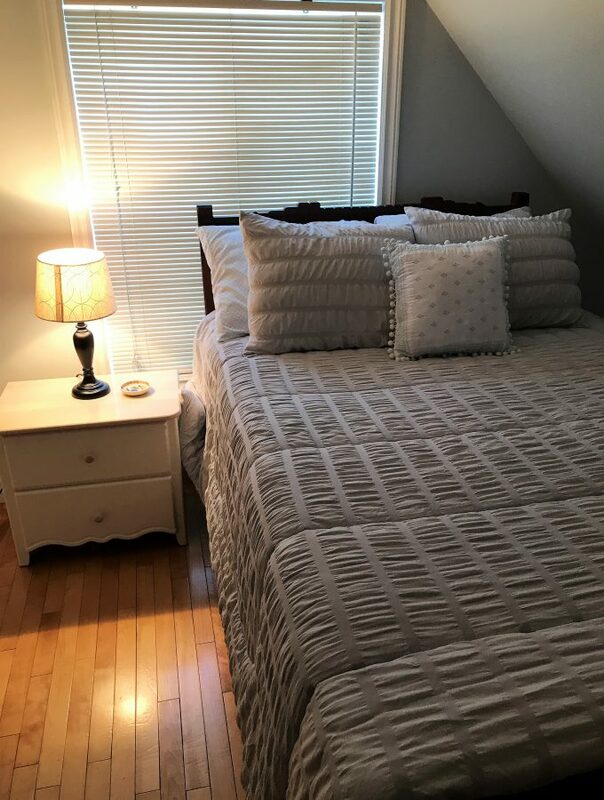 Thanks for sharing and for hosting Travel Photo Thursday. Hi Jill, I’m glad you enjoyed them! I love all the amazing colorful events. But my favorite is the Buddha’s birthda. 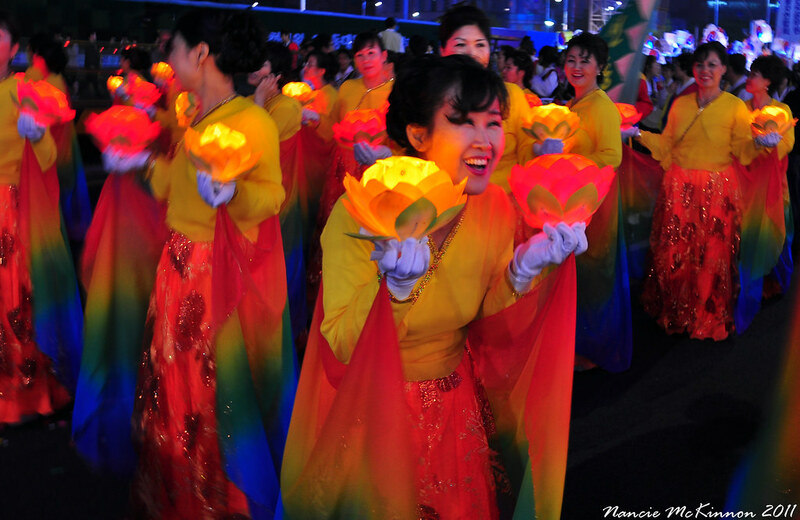 I love the colorful costumes and the lanterns. Hi Marisol, I never get tired of looking at the lanterns. They have their own unique beauty. The colors are just amazing and SO full of life. Stunning! Life is so much more interesting in vibrant colors, isn’t it? 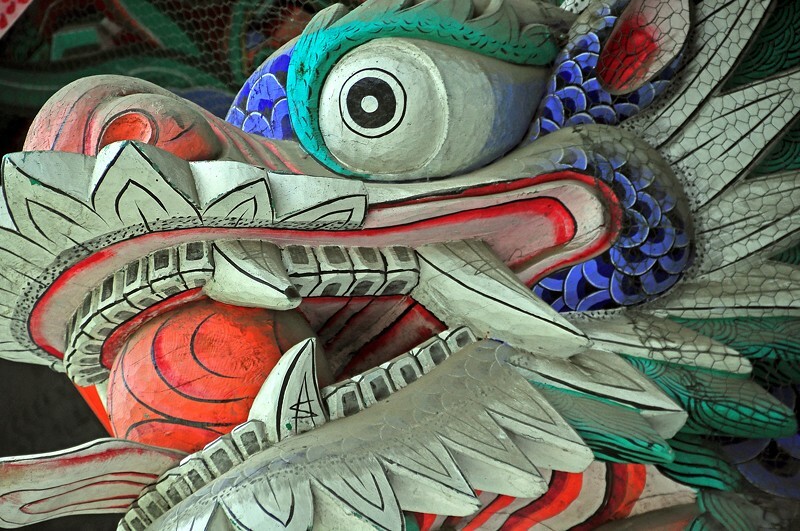 Love the scenes you’ve chosen – the color, the actions you’ve caught. . .bring Korea to life. I love the traditional yellow costumes of the changing of the guard and the unusual hats. I would like to see that. Come for a visit, Jan! I’ll keep that invitation in mind Nancie! Nancie: when I see you’re incredibly beautiful and colorful pictures I wonder if I’m living in a muddy world, or if I just need to work harder to find colorful subjects. WOW gorgeous photos, you can feel the energy!! Love all of it! When is the best time of year to visit Korea? Hi Sophie, May/Early June; September/October. Don’t come in the winter (cold), and the summer is hot, humid and rainy. The rain usually starts in July for about a month. Last summer the rains extended into July. In May and June things are green and there are flowers around and not much rain/humidity. In September and October you can enjoy the fall colors and no humidity. 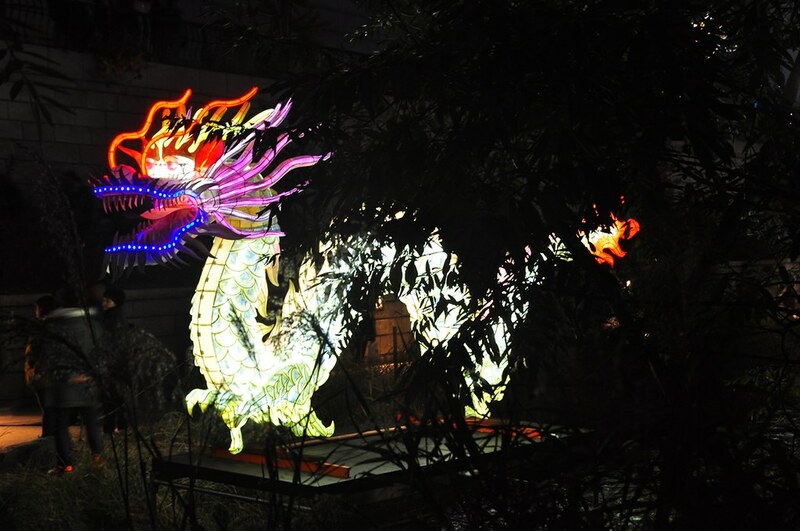 What a magnificent assortment of colours.My favourite is also the dragon. If I make it to Korea again I’ll definitely have to catch the changing of the guard. Good luck getting through to the 21st – and a nice long break. Great color in these shots, Nancie! This is making me want to go now! What a bold selection of color! They are all great, but I especially love the dragons. Hope your week goes well. The costumes and the colors are eye-catching and bright. Great photos, Nancie!